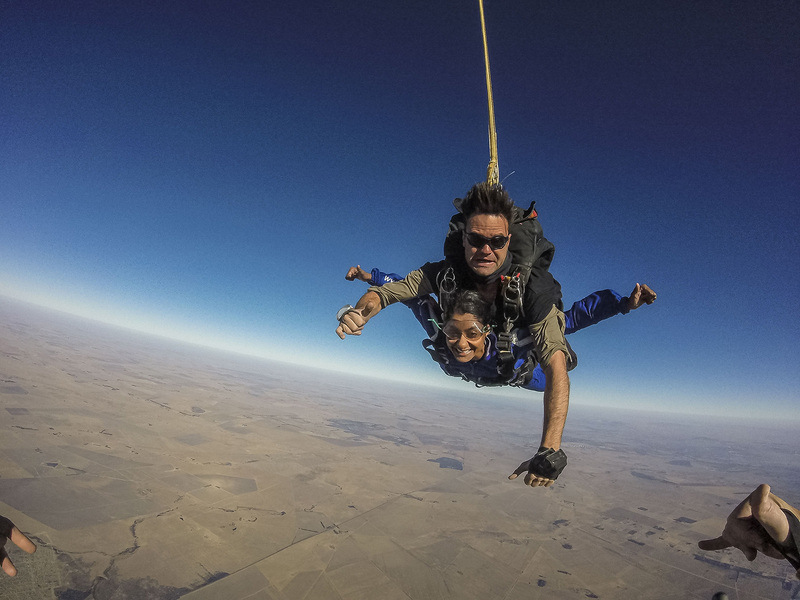 The Aquila Projects team took to the skies on 22 July 2017 for a team build exercise. 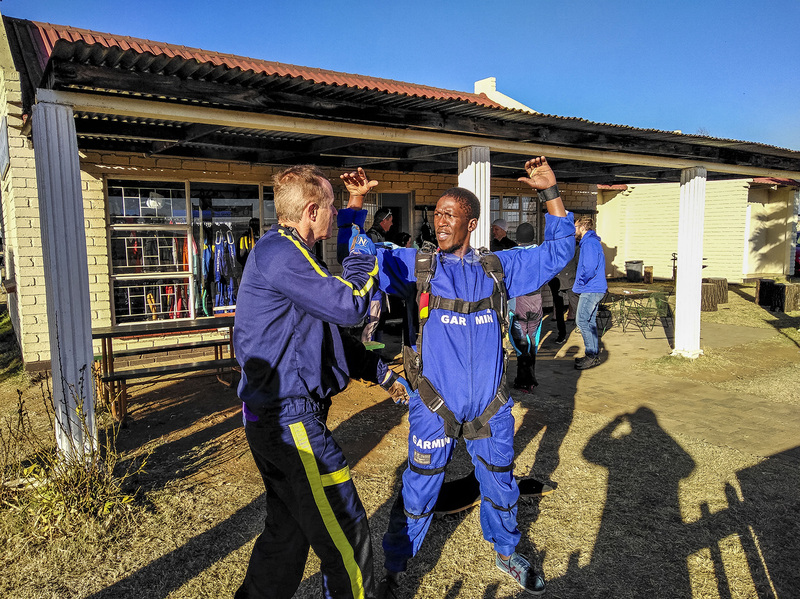 The whole team jumped out of the Kudu aircraft at Skydiving on the Vaal’s dropzone in Deneysville in Gauteng. 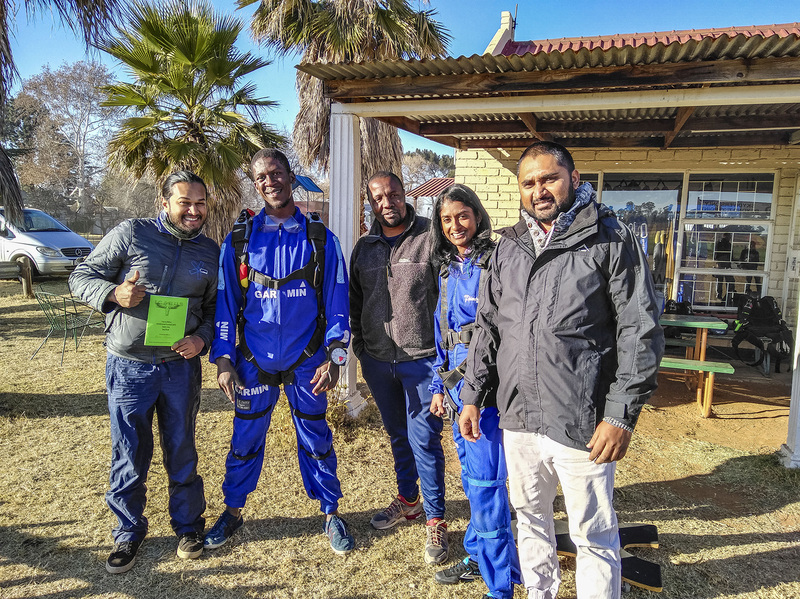 Yasas, Fred, Isuru and Zano completed the Level 1 Accellerated Free Fall (AFF) jump successfully, with Mandy doing a tandem jump. 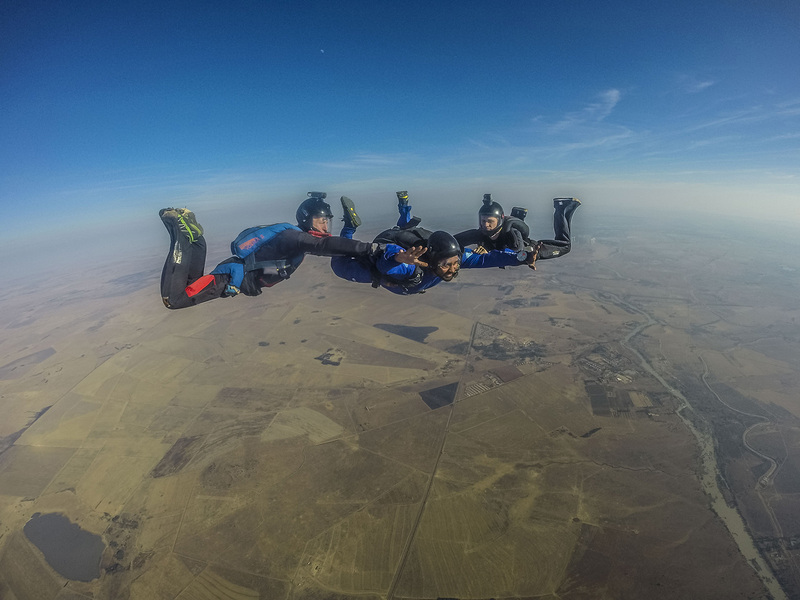 The training was provided by Icarus Skydiving School. 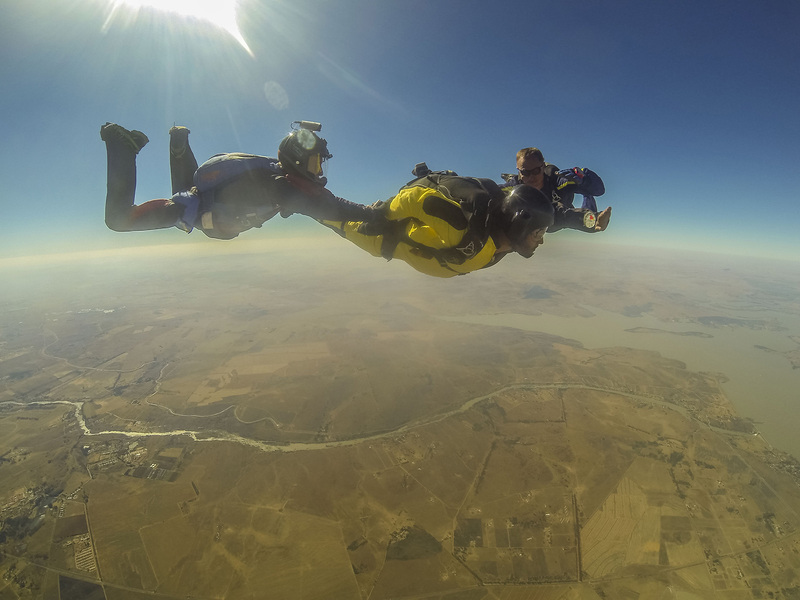 We had a day’s ground training learning about parachutes, safety, emergency drills, and the dynamics of the whole sport. Even at the ground training our mettle was tested. 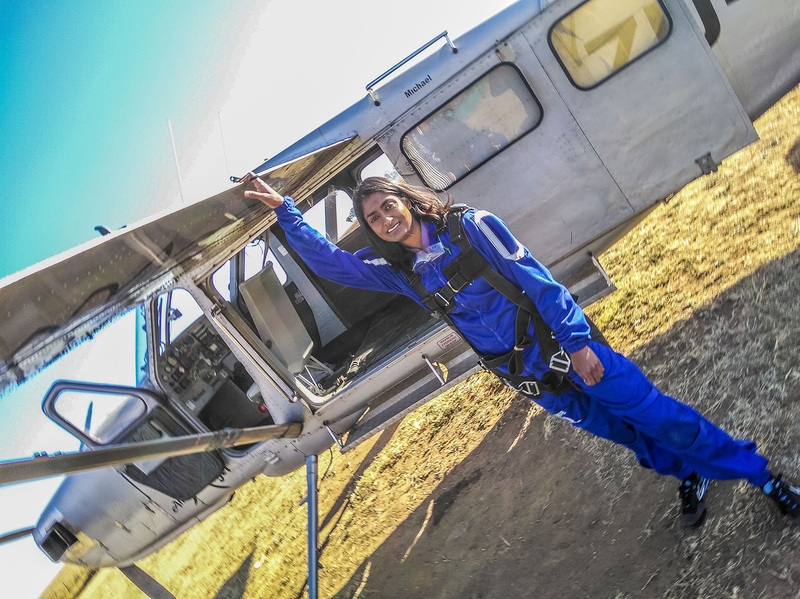 On the day, the exhilaration of jumping out of the aircraft and pulling our own parachutes was incredible. 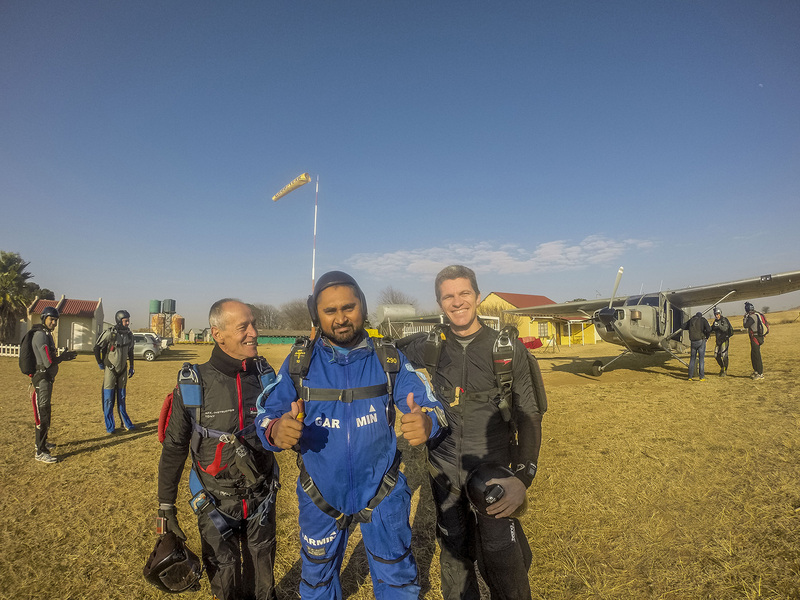 [see Isuru’s video log] The zen-like moment when the parachute is deployed is inexplicable, with stunning views of the Vaal dam and surrounds taking our breath away. 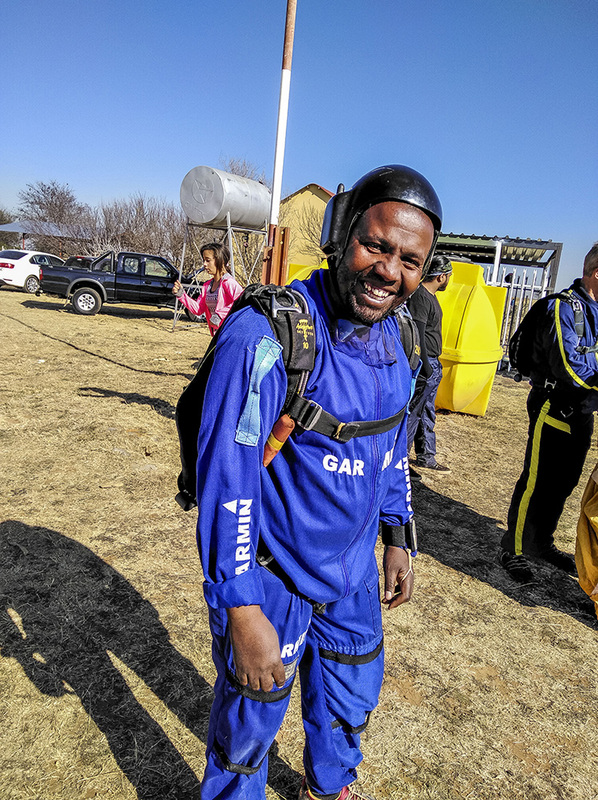 Each of us had to land the parachute safely at the dropzone, which was an experience to remember. 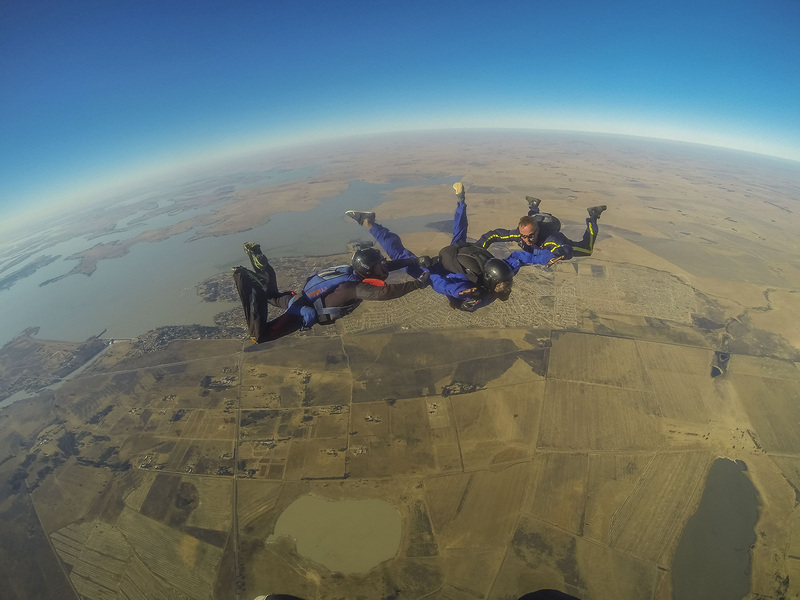 The process was that we climbed up to about 11 000ft, along with other jumpers and our instructors, jumped out around that altitude, did our practice drills in the air, and finally deployed at around 6 000ft. 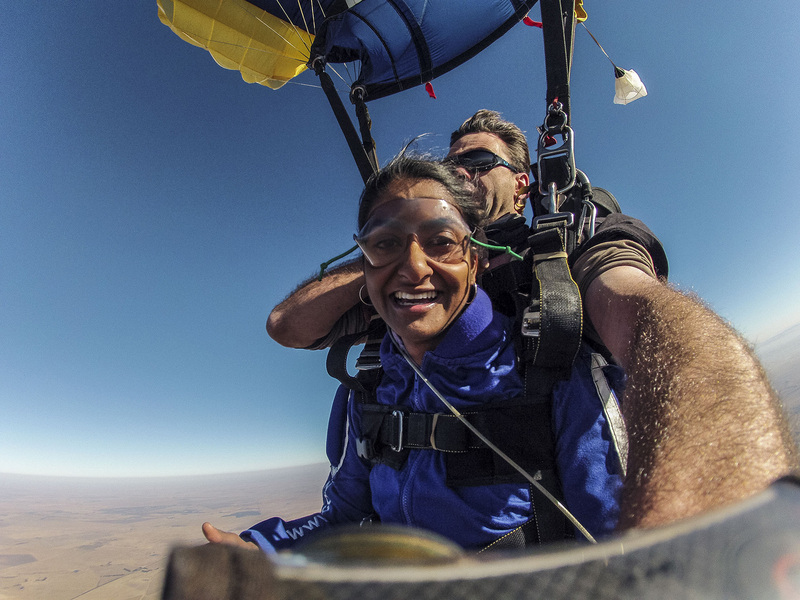 Our pilot’s skills were amazing; watch especially just after the tandem jump how he nose-dives! His take offs and landings were near perfect given the conditions. What did we learn about ourselves? We faced one of our greatest fears and overcame them, digging deep to find the courage to overcome it. 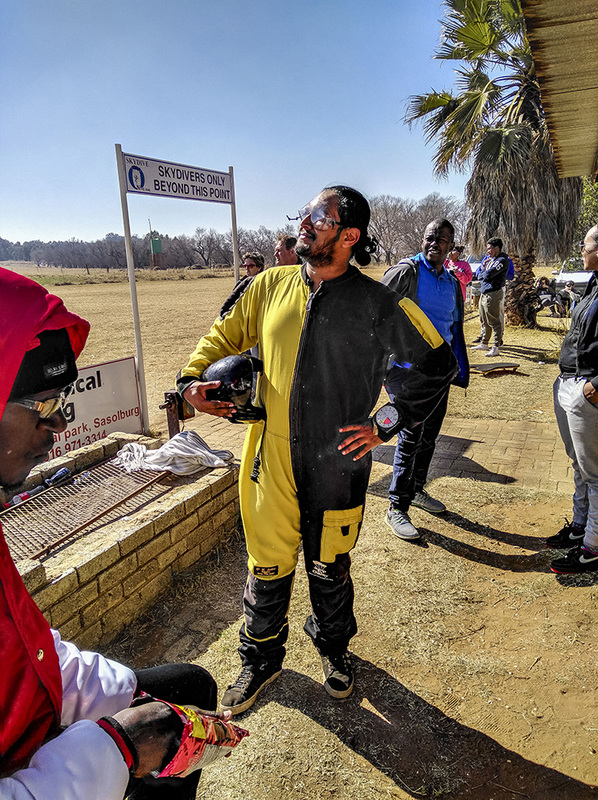 We learnt about how we react in new situations, and to trust ourselves to give it time to sink in, and that if we believe we can do it, then its 90% done, the last 10% is just the doing…. 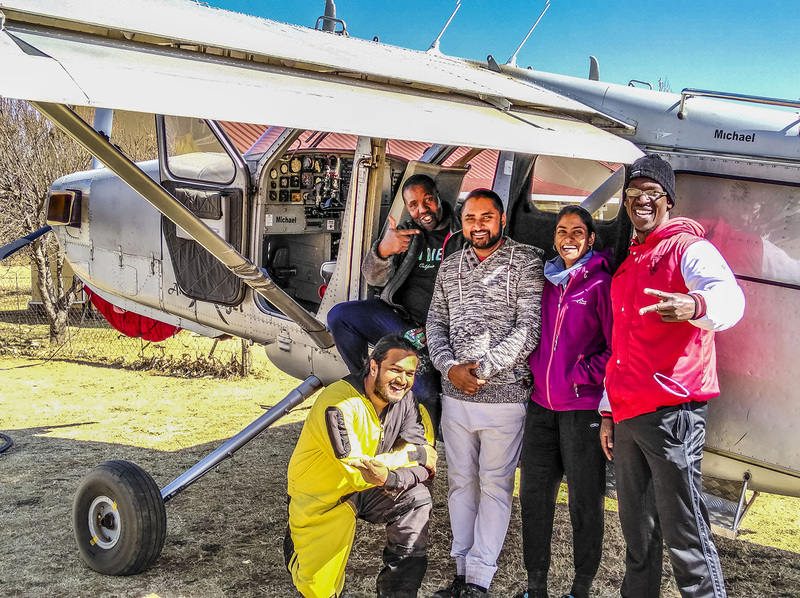 All of the team showed great courage in stepping up to the plate, and for one of us it was our first time in an aeroplane! 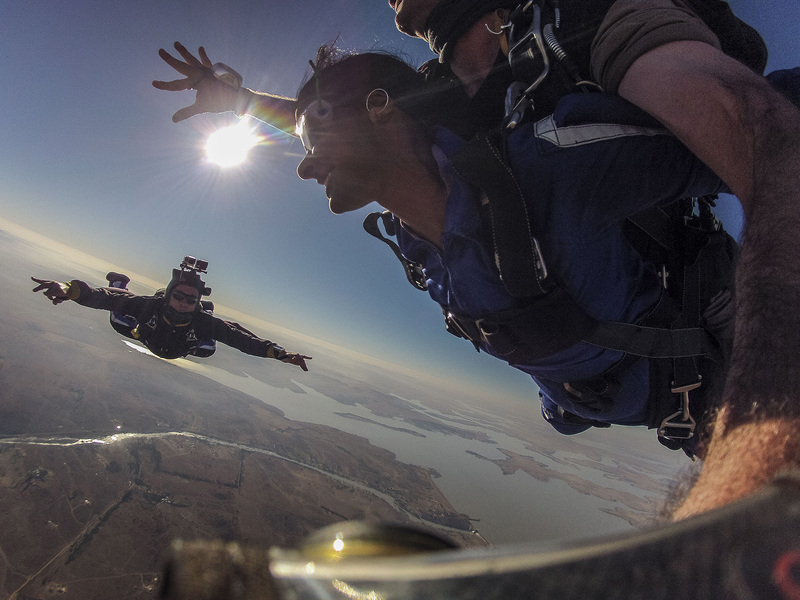 Even to this day, before a particularly tough situation, I quickly recall the moment before the jump, do some deep calming breathing, and just go with the flow, fully trusting my training and my team and enjoy the view. I am proud to say the Aquila team lived up to our name.